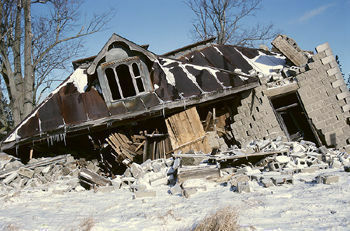 Explore your surroundings and take precautions when playing outside in the snow and ice. 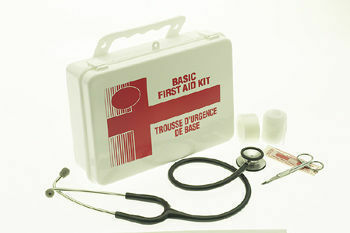 First Aid Kit is always handy to have around when you travel. What to do, and what not to do, when you or someone in your family is suffering from being in the cold for too long or accidentally falls into frozen water. It could be the early stages of hypothermia. Any person pulled from cold water should be treated, by medical professionals, for hypothermia. Symptoms include intense shivering, loss of coordination, mental confusion, cold and blue (cyanotic) skin — especially around lips or fingers — weak pulse, irregular heartbeat and enlarged pupils. Once shivering stops, core body temperature begins to drop critically. Gently move the victim to warm shelter. Check breathing and heartbeat. In cases of hypothermia you should monitor victim very closely. Start CPR if necessary. Remove victim’s clothing with a minimum of movement, cut them away if necessary. Lay victim in a level face up position with a blanket or other insulation beneath them. Wrap victim in warm blankets, sleeping bag or other warm covering. Apply heating pads or hot water bottles (wrapped in a towel to prevent burns) to the head, neck, chest, and groin. DO NOT apply heat to arms and legs or give them a hot bath. This forces blood out through the cold extremities and back to the heart, lungs and brain, which will further drop the core temperature. This can cause “after drop” which can be fatal. Do not massage or rub the victim, rough handling may cause cardiac arrest. Apply warmth by direct body to body contact. Have someone remove their own clothes and lay next to victim skin to skin. Wrap both in blankets. If person is alert enough you can give them hot drinks. If they are unconscious or stuporous do not give them anything to drink. Never give alcoholic beverages. Important Note: All hypothermia victims must be transported to a medical facility immediately, even if they appear to be ok. “After drop” and cardiac problems are known to happen during the re-warming process and are life threatening, even if the victim seems to be recovering without problems! Some apparent cold water drowning victims may look dead, but may actually still be alive. A phenomenon called the “mammalian diving reflex” can be triggered by cold water. This reflex, common to whales, porpoises and seals, shuts off blood circulation to most parts of the body except the heart, lungs and brain and slows the metabolic rate. What little oxygen remains in the blood is circulated where it is needed most. Do not assume that a person who is cyanotic and who has no detectable pulse or breathing is dead. ALWAYS administer CPR and transport the victim to a medical facility immediately for specialized rewarming and revival techniques. Most frozen waters are cold enough to trigger this reflex. People have been revived after having been submerged for extended periods, some in excess of 45 minutes!